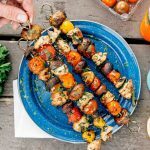 Like a bright and cheerful summer afternoon, these grilled veggie and chicken skewers are a quick and easy dinner idea for the next time you go camping. When the sun is out and the days are long, it’s easy to lose track of the day. One moment you’re relaxing in a hammock, drinking a cold one and minding your own business. And the next, you’re being told it’s 6:45 pm, everyone’s hungry, and what’s the plan for dinner, anyways? It’s times like these when having a low-effort meal standing by would be real, real nice. 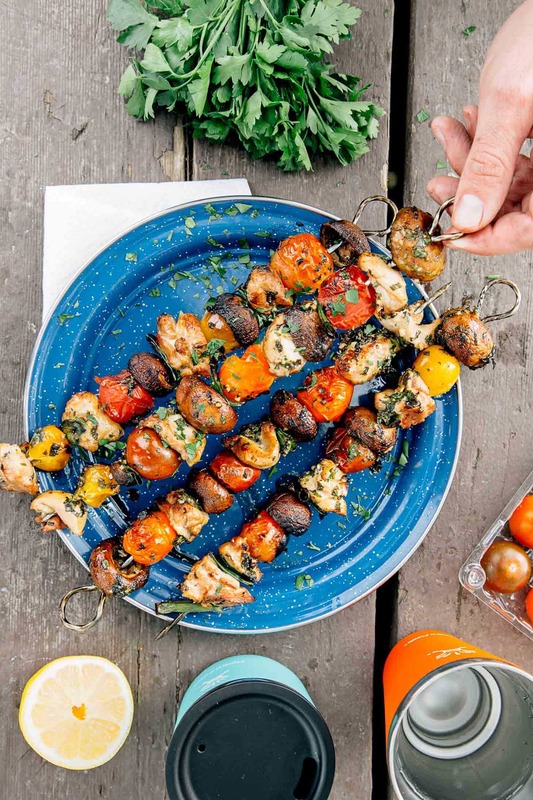 This is exactly the type of scenario where Present You will really thank Past You for prepping these veggie and chicken skewers the day before. It wasn’t even that difficult. All it took was chopping up some veggies, slicing a few chicken thighs, and tossing everything into a resealable container with the marinade. 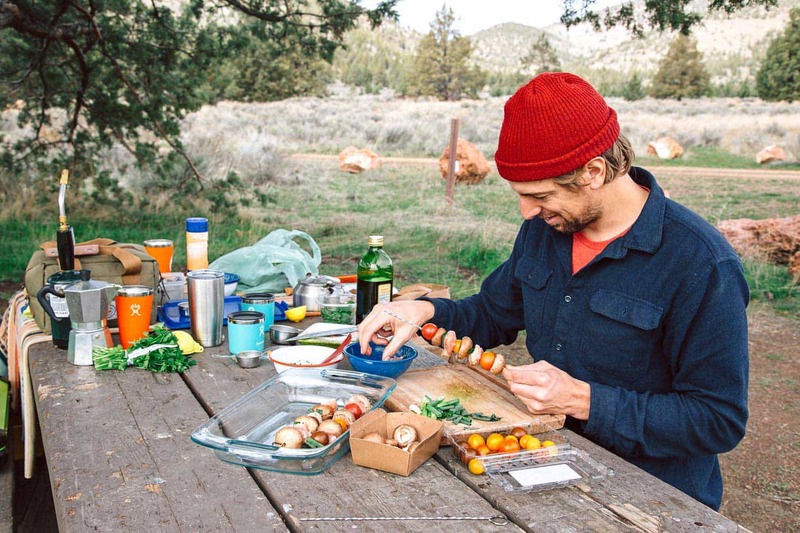 Now Present You just needs to get the container out of the cooler, skewer up the ingredients, and toss them on the grill grate of the campfire. With some deft delegation skills, you might even get a few more minutes back in the hammock before it’s time eat. 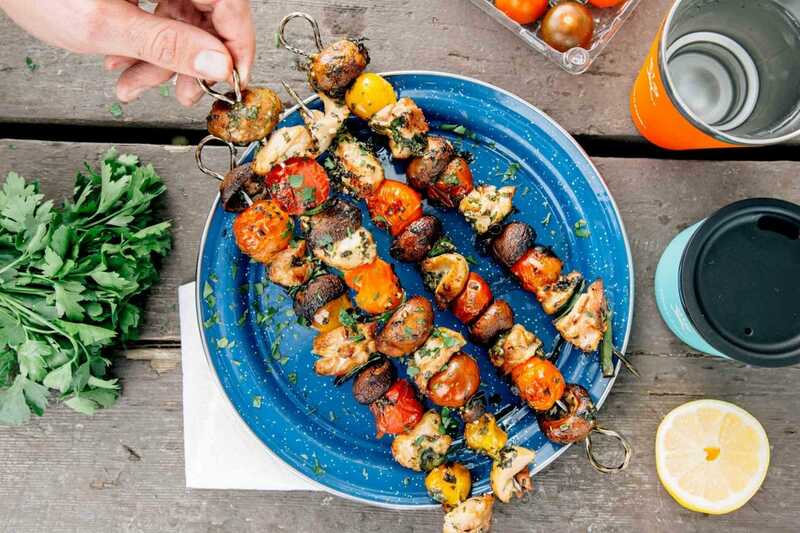 So on those lazy days of summer, when the most pressing item on the day’s agenda is to keep things mellow, making these veggie chicken kebabs ahead of time can pay out big dividends. Combine the ingredients for the marinade in a large bowl or ziplock bag. Add the chicken pieces and thoroughly coat. Cover the bowl or seal the bag and marinate for at least an hour. This step can be done at home ahead of time - just put the sealed bag in your cooler. 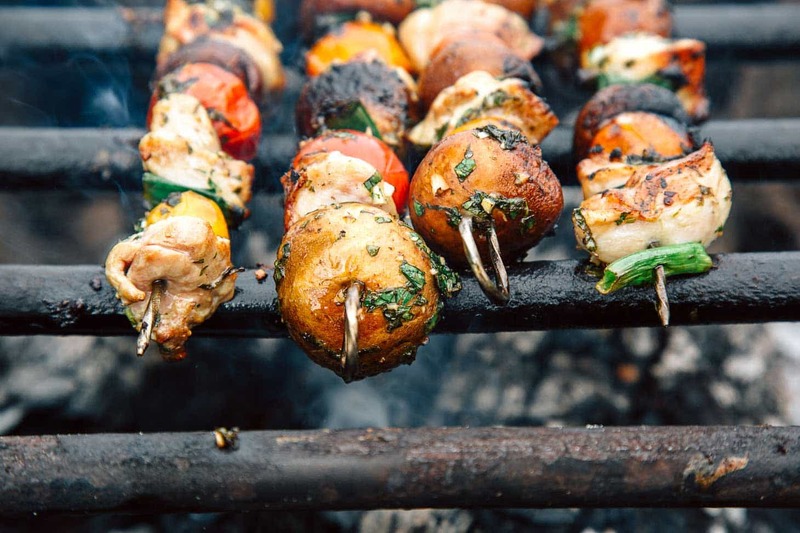 Build the kebabs by threading the chicken and vegetables onto your skewers. Grill the kebabs over medium-high to high heat, turning occasionally so they cook evenly until the chicken is cooked through - about 10 minutes total. 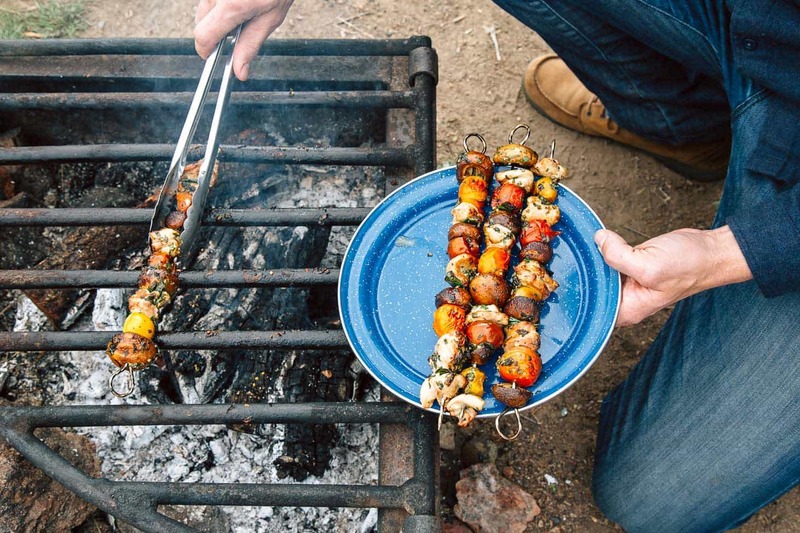 Skewers, either metal or wood. If using wood, soak in water for at least 30 minutes before grilling to prevent them from burning.